A beautiful, fully furnished, 2 bedroom + den 2.5 bath home in gated Pelican Point community in Avila Beach. 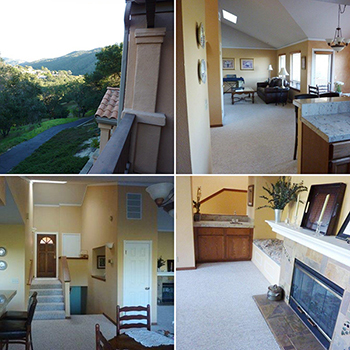 Quiet area, gorgeous canyon views, two decks, attached garage, washer/dryer, approx. 1,600 sq.ft. living space. Requires prior rental history with landlord references or home ownership history. (No smoking allowed inside or outside. No pets are allowed). Click here to contact us to arrange your private viewing. Stunning custom home showcasing fabulous ocean views from virtually every room. 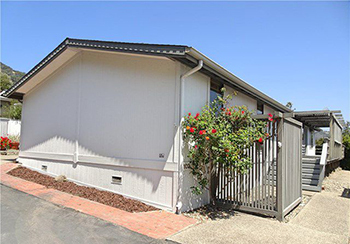 Privately situated on one of the most beautiful streets in shell Beach, just steps away from the ocean. Top of the line finishes and attention to detail evidenced throughout including Venetian plaster walls, crown molding, exquisite lighting, custom built cabinetry, arches and columns just to name a few. Beautiful courtyard entrance with fountain and lush landscaping set the tone for romantic resort-like atmosphere. Multiple decks and seating areas including a roof top deck with spa, patio area with built in fire pit, large deck off living room with remote controlled awning provide additional outdoor living space ideal for entertaining and taking advantage of the ocean views and the mild weather. Luxurious master suite with french door access to private deck overlooking the ocean. Completely private guest accommodations, a library with fireplace and floor to ceiling custom bookcases, wine tasting room with storage and refrigeration, a gym, media room and over-sized storage area. A house of this caliber naturally features a gourmet kitchen with center island Dacor oven and microwave, Fisher-Paykel double drawer dish washer, 2 sinks with disposals, 2 water filtration systems and spacious walk-in pantry. Central air conditioning, central vacuum system, hard wired alarm system, Sonos controlled indoor/outdoor sound system, just too many wonderful amenities to list! Beautiful/spacious tri-level brand new condominium with all new appliances included. Quiet Complex, 2 car garage, landscaping included. Outdoor amenities: outside BBQ outside dining, fire pits & recreational fun. Great Access to downtown and airport areas. In case you haven’t heard already, a woman in Glenview, Illinois has filed a lawsuit against Zillow claiming that her Zestimate repeatedly undervalued her house and created a “tremendous roadblock” to its sale. The lawsuit was filed in Cook County Circuit Court by real estate lawyer Barbara Andersen. This suit may be the first of its kind. It says that, despite Zillow’s denial that they don’t offer “appraisals,” the fact that they “are promoted as a tool for potential buyers to use in assessing the market value of a given property,” shows that they meet the definition of an appraisal under Illinois state law. It argues that Zillow should be licensed to perform appraisals before offering these estimates, while also obtaining “the consent of the homeowner” before they go online. The Zestimate in question is for Ms. Andersen’s townhouse that she bought for $626,000 in 2009. It overlooks a golf course and is in a prime location, and she listed it on the market for roughly what she payed for it. However, the home’s most recent Zestimate was only $562,000. Ms. Andersen is suing for Zillow to either remove her Zestimate or amend it. She isn’t seeking monetary damages at the time, according to The Washington Post. Zillow has a different take on the situation. They don’t see their Zestimates as appraisals but rather a tool that utilizes a proprietary formula to assess value, and they say as much on their website. However, the accuracy of some of these estimates leaves much to be desired. They have a median error rate of 5%, which can translate to a lot of lost money on a home sale or a lot of money left on the table in a home purchase. I've spoken numerous times about the computer program Zillow uses to "estimate" a home's value and how inaccurate it can be even after a recent sale of the property in question. The point is there is a reason an appraiser must put in 2,000 hours of supervised training before being able to perform an appraisal on their own and after over 26 years of selling thousands of homes on the central coast we know there are nuances in properties, amenities and supply and demand which affect property values almost every day. 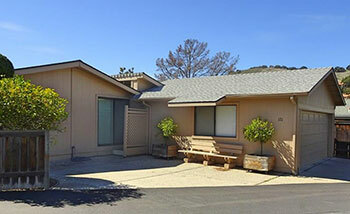 If you have questions about the value of your property then certainly call us at 805-595-2444 or stop by our office! Pacific Trust Mortgage now offers traditional FHA financing for the Indian Hill community! • 30-Year and 15-Year Fixed Terms available. • Loan amounts up to $586,500. • Only 3.5% down payment required for purchases. o Rate & Term refinance. o Cash-out refinance (up to 85% loan-to-value). • 580 Minimum FICO Score up to $424,100 loan amount. • Structure must have been built after June 15, 1976 and contain a HUD date plate certificate and HUD seal/tag. • Structure must be permanently affixed to the foundation. • Additional property inspection and verification is required for remodel work and additions that have been completed to the structure. *Rates provided are based on 720 mid-FICO score and zero points. If you have more questions about this great news call us at 805-595-2444 or Alex at 805-543-4422. I was just informed that nationwide the inventory of homes is the lowest it has been in many years. Although this can lead to a stronger seller’s market it can also be discouraging for home buyers or anyone looking to actually move. When we talk about inventory that is homes on the market and in a hot market if a home is on the market and not sold or getting offers then sometimes buyers can wonder why. Not always a good thing for the property being sold and it’s owners. More importantly, good homes in good condition and at a fair price often sell quickly and can get multiple offers and get bid up. So here’s the challenge and what’s keeping the inventory low; homeowners are afraid to sell and then not have anywhere to go or at least feel there aren’t any good homes they can buy. The good news is there are options. First of all, don’t just look at what’s on the market. This is not often representative of what you could buy because the best homes and values are normally sold or in escrow. Secondly, we’ve helped many sellers find a great buyer and get them in escrow at an excellent price and either have a long escrow or the option to rent back their home from the buyer to allow time to find that new home or be in a position to make a strong offer. Finally, some sellers want to sell but don’t want the hassle of having their home on the market. Because we have so many past clients and people reaching out to us we are often aware of homes coming up for sale soon or where the owner will sell the house without having it go on the market. Either way if you’re thinking you’re stuck call us and we can explain all the ways to take advantage of one the best markets I’ve seen in my 26 plus years of real estate. If you would like to reach us, call 595-2444 or come by our office anytime. The Federal Reserve has raised interest rates. However, they raised the federal funds rate, which is what banks use to lend to each other. So, while this rate increase will surely affect credit card loans or car loans because they are tied to this rate, it does not have an immediate impact on mortgage rates. Mortgage rates are determined more by the marketplace. As of right now, rates are around the low 4% range, which is still very good. Many people were worried about the Fed raising rates but the market already anticipated that increase, so mortgage rates have not changed much. Of course, you should always check with your lender and see what kind of rate you can get with your specific financial situation. However, I wouldn’t be too concerned about interest rates making a big increase this year. DON’T WORRY ABOUT THE FED’S RATE HIKE. 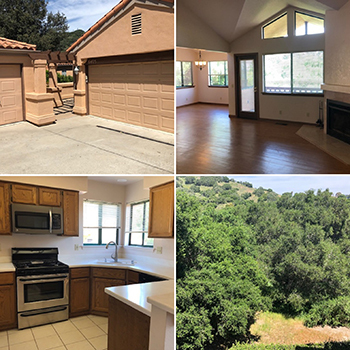 Another question I’m getting a lot in our current market is, “Why is it taking so long to close my escrow?” Recently, the San Luis Obispo multiple listing service went through a major overhaul. Appraisers and Realtors alike are dealing with a bit of a learning curve right now. The powers that be may have gone overboard in adding too many variables to the system and having it virtually be a statewide MLS meaning I can get information on listings all over the State. This means anyone using the MLS is having a harder time finding the information they’re used to finding quickly and easily so as professionals we’re having to spend much more time on the research than it previously took. Ultimately, the new MLS system will really help home buyers and sellers. It will just take a little bit of time for real estate agents and appraisers to adjust to the system and the additional information. 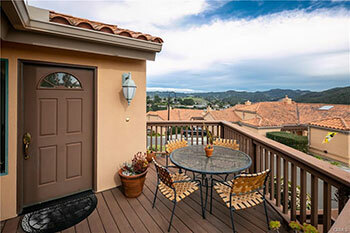 Enjoy our lovely spring weather here in Avila and a VERY HEALTHY real estate market. If you have any questions call us at 805-595-2444 or stop by the office! We look forward to helping you. The internet is great...you can see homes online and get a good idea of what they look like, how they are situated in relation to other homes and you can view from satellite images their proximity to amenities or things of concern. You can research what other homes are selling for and even get a quick estimate of the value of your home. The amount of information available is astonishing and rapid. Aside from the myriad of legal compliance issues and disclosures required to sell a home these days you would think all this information would make a Real Estate Broker or Agents job obsolete. Yet just because every bit of financial information is easily available about a publicly traded company on the stock market doesn’t mean you know how to pick a winning stock or company. 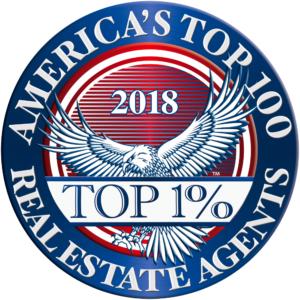 The value that a real estate professional brings should be years of experience, up to date knowledge about homes sales, buyer demand and national and local trends. 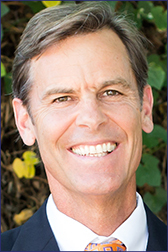 For example, a good Realtor, like a good appraiser will research not just what price a comparable home sold for but also will call the parties involved to see if there were multiple offers, special circumstances like a property owner that really needed to sell or a buyer that had to buy which would change the price of a property. Were there any special conditions like a floor plan that most buyers passed on or lack of a usable yard. 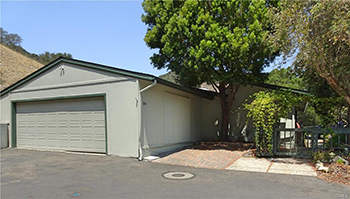 Did the seller decide to respond to the first offer or take a lower price than another buyer had offered due to shorter escrow, cash offer or they simply felt more comfortable or confident with a buyer. This “additional” information is what gives a good real estate broker the real insight into the market and is of value to the consumer. So start your research with the internet, like you might start getting health questions answered by Web MD but if you’re seriously thinking about making a real estate move then you should certainly consult a professional. And just like if you needed knee or brain surgery you’d probably search for a specialist with a long history of successful surgeries and happy patients. You should vet your broker the same way. In the end you want someone who can help you through this potentially stressful process and solve problems that come up along the way so you get the best value and have the least amount of liability and frustration. If you have questions about the Avila Beach market give us a call at 805-595-2444 we’re hear to be a resource for you! As your trusted real estate resource, Blue Heron Realty is connected to a variety of related industries and can offer you many recommendations and referrals for many different services. Did you know that we do more than just buy and sell houses? After doing real estate for 25 years, I’ve gotten to know some great people in a variety of related industries. We have clients calling us all the time because of our connections. If you’re ever in need of a specific service, we can usually recommend someone or at least give you a couple of great referral options. For example, if your property taxes are above where you think they should be, you can call us and we can give you the necessary information for you to make a presentation to the county assessor to get those taxes lowered. We also have people frequently asking us insurance questions, so we know many good insurance professionals who can help you in that field. Real estate financing is another industry we’re closely connected to, and we know more than our fair share of general contractors and handymen of all types who’d be happy to help you. Whatever you need, think of us as your real estate resource. If you need anything in that respect, don’t hesitate to give us a call. We are here to help and look forward to talking to you soon! 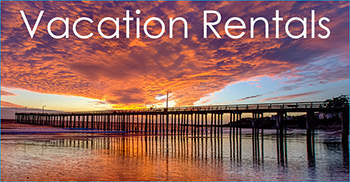 For details, call 805-595- 2444. Are We in a Real Estate Housing Bubble? With the prices having gone up significantly over the last 5-6 years since the bottom of the last market cycle, people are asking me all the time if we're in a Bubble. Historically wages have driven real estate prices and even though we've had a growth in jobs and income as the economy locally and nationwide has continued to strengthen it certainly doesn't justify the huge increase in prices we've experienced. 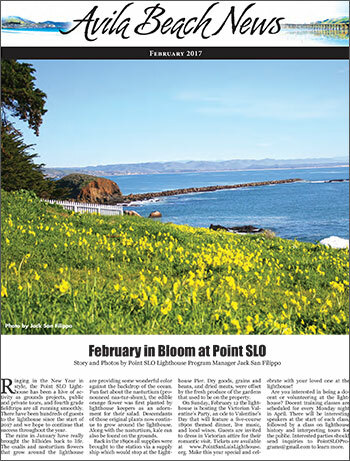 In fact prices in SLO County are in most cases the highest they've been in history. However to judge whether or not we're in a bubble it makes sense to look back to 2006 to what could be consider the height of the last bubble and what caused that. 1. Huge percentage of sub prime mortgages (loans made to borrowers with very poor credit and no income verification) which increased demand disproportionately vs 2017 almost all loans since 2009 have only gone to the most qualified and vetted borrowers. 2. In 2006 a large number of the buyers were investors and speculators buying for appreciation to flip or sell later for a profit which added to demand vs 2017 buyers buy to have a place to live or for long term cash flow and don't count on appreciation. 3.Inferior loan products were prevalent with beginning teaser rates and payments that would readjust or become due and if prices didn't increase then the owners would have to sell vs 2017 where most loans are long term fixed loans with no adjusting payments or rates. 4. A lot of new construction was happening in 2006. Large builders like Centex and others were building new homes adding to the supply of homes on the market vs 2017 when we do have some building but nothing compared to current demand fueled by buyer confidence, population growth, 5 years of strong sales and an inventory of homes for sale that are 1/2 to 1/3 of what it was in 2006. 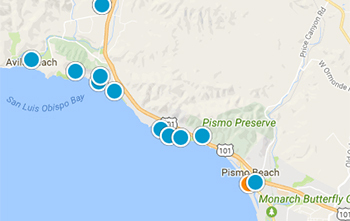 So all indications is the growth in prices is on solid footing and unless we have something that affects and increases the housing supply or dampens demand then we may be in an upward market for the foreseeable future in SLO County and Avila Beach. Barring a large jump in interest rates or a Black Swan event in the general economy then you'll likely see more of the same in the real estate market. If you have questions or would like to know how this affects you personally then call us at 805-595-2444 or stop by our office to the right of the guard gate at San Luis Bay Estates. 6405 Fiddleneck Ln, Avila Beach 93424. 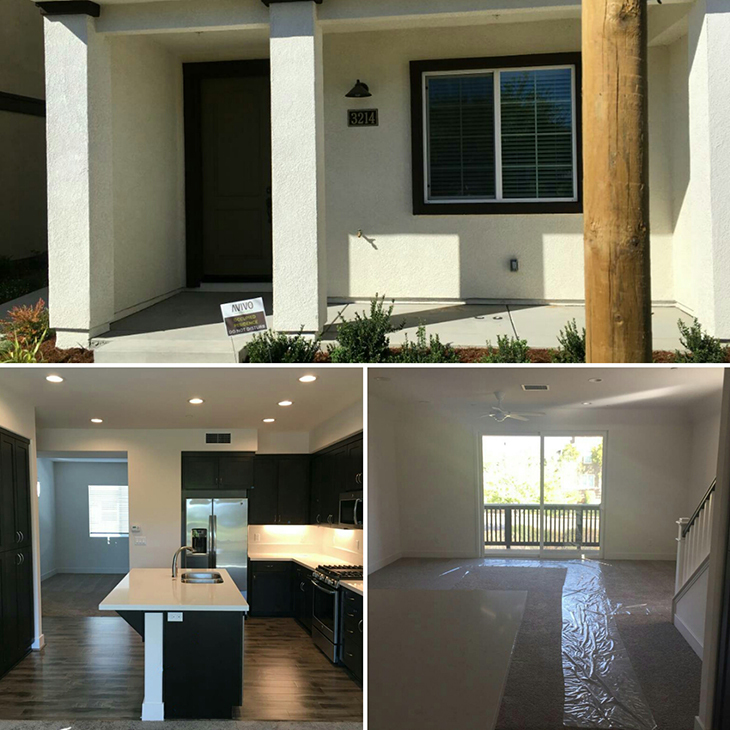 A 2 bedroom, 3 bath, 1,398 sq.ft. condo. $2500 per month with a $2500 deposit. Annual lease term, no smoking, no pets (1 small pet may be considered with an additional deposit).